The good news is, by dedicating a few hours each season to properly maintaining your home, you can ensure a safe living environment for you and your family ... and actually increase the value of your home by one percent annually!1 You just need to know where and how to spend your time. Use the following checklist as a guide to maintaining your home and lawn throughout the year. It's applicable for all climates, so please share it with friends and family members who you think could benefit, no matter where their home is located. You can also download it HERE! If you have a pool, it’s time to clean and close it up before the winter. No winter where you live? This is the time to handle all the routine maintenance that will keep your pool like new for years to come. While it can be tempting to ignore home maintenance issues in the winter, snow and freezing temperatures can do major damage if left untreated. 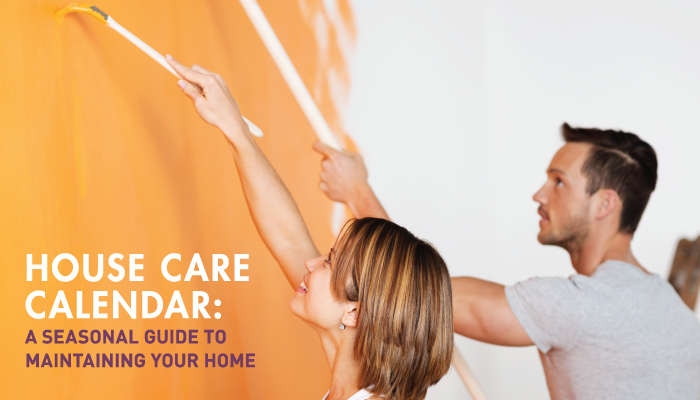 Follow these steps to ensure your house survives the winter months. If you live in South Florida like we do, some of these things don't apply of course, so take the time to do more on your exterior or on the "toys" like the boats, jet skis or landscaping of your home. Check and change filters on your heating system, per the manufacturer's instructions. If you have a boiler, monitor the water level. Are you looking for help with home maintenance or repairs? We have an extensive network of trusted contractors and service providers and are happy to provide referrals! Call or check out our list of preferred vendors.